NOTE: Seats equates to amount of teacher accounts for the license. Each teacher using a license seat will receive their own PRO account. Students are always free and do not require additional seats for the license. Congratulations, PRO renewal is complete! Receipt details will be displayed. A receipt will be emailed to the address on record for the purchasing account. Receipt will contain license details, including the license key. If renewing license with more than 1 seat... Sharing the license key with individuals will allow them to activate their own PRO account (using a seat from the license). Individuals renewing a PRO account will be added to the license. 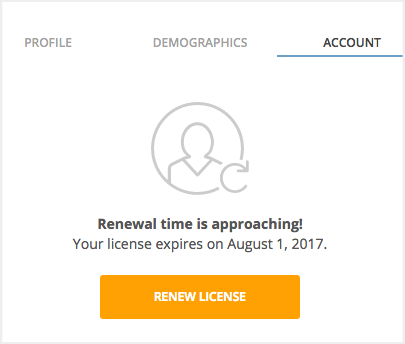 The new license will overwrite the old license.